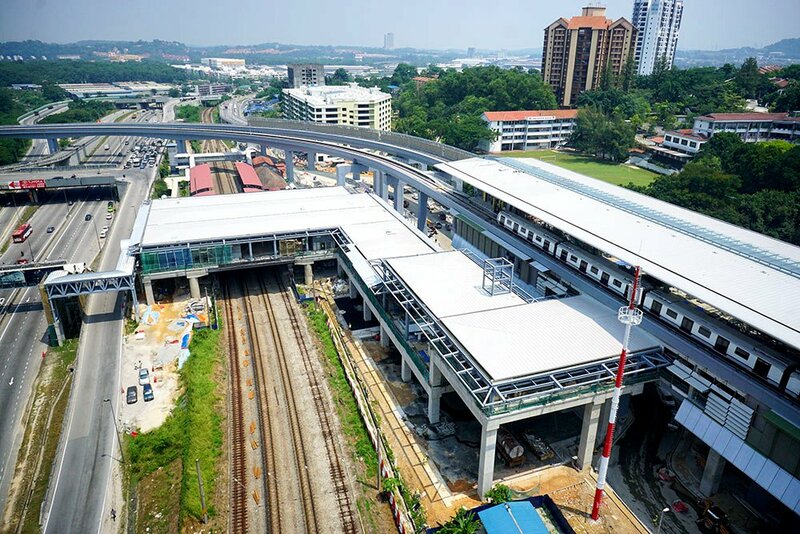 The Sungai Buloh MRT Station is an MRT station serving the suburb of Sungai Buloh in Selangor, which is located to the northwest of Kuala Lumpur. This MRT station is the northern terminus of the MRT Sungai Buloh – Kajang Line service. The MRT station is hosted within the Sungai Buloh railway station as the railway station is an interchange station, with one section catering to the KTM Komuter and KTM ETS services, and another section for the MRT Sungai Buloh-Kajang Line. The Sungai Buloh station is an elevated station structure with an elevated common concourse linking the MRT paid area with the KTM paid area. 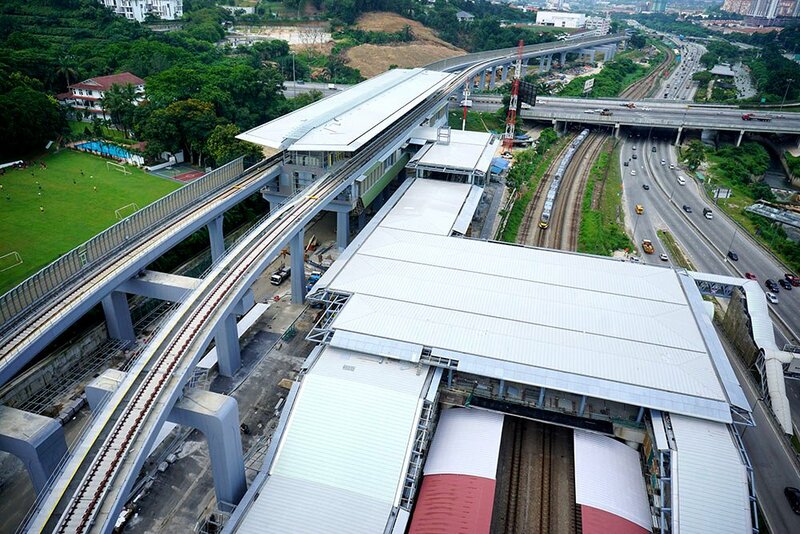 The integrated station was constructed as part of the MRT Sungai Buloh-Kajang Line. The ticket vending machines and ticketing offices for both MRT and KTM services, as well as two retail outlets, are located at this common concourse. 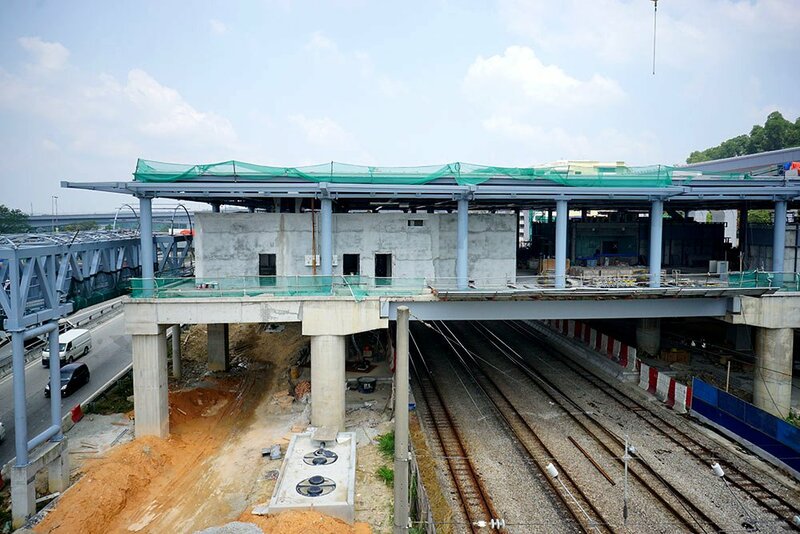 The concourse was constructed over the four KTM tracks. From this common concourse, stairs, escalators, and lifts descend from within the KTM paid area beyond the fare gates to the two at-grade side platforms. 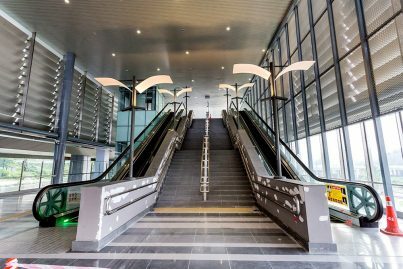 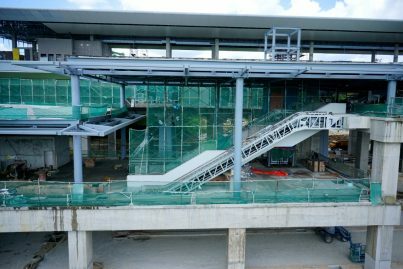 After passing the MRT fare gates, stairs, escalators, and lifts bring passengers up to the MRT concourse level and then a further level up to the single island platform of the MRT Sungai Buloh-Kajang Line. The main entrance (Entrance A) consists of escalators, stairs, and lifts rising from at-grade level to the common concourse, serving both MRT and KTM users. 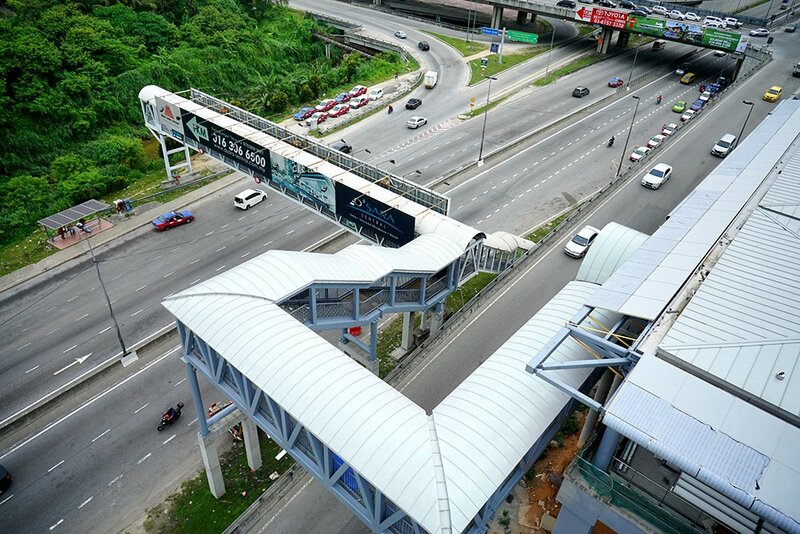 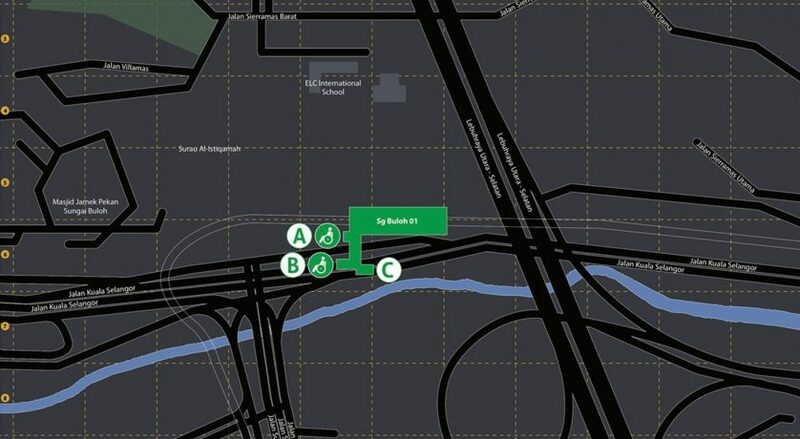 Another entrance (Entrance B) is located on the south side of the common concourse and is linked to a staircase down to the Kuala Lumpur-bound side of Jalan Kuala Selangor, as well as a pedestrian overhead bridge across Jalan Kuala Selangor for access to the Kuala Selangor-bound side of the road. 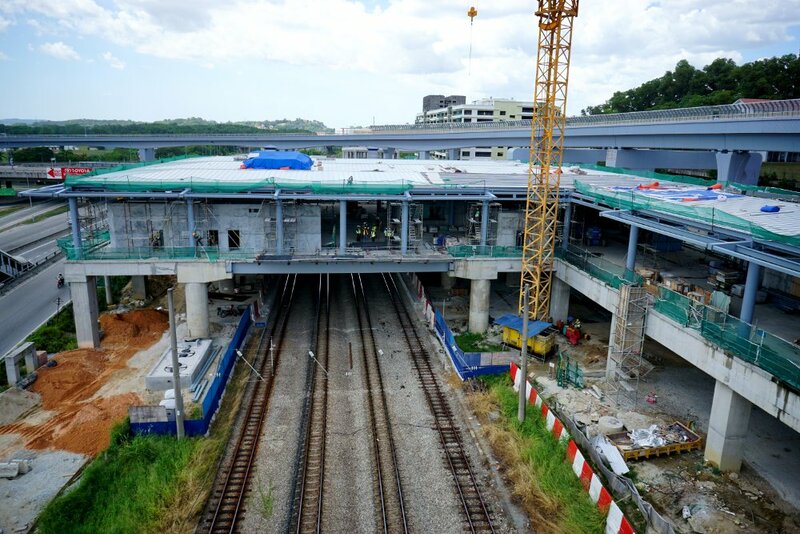 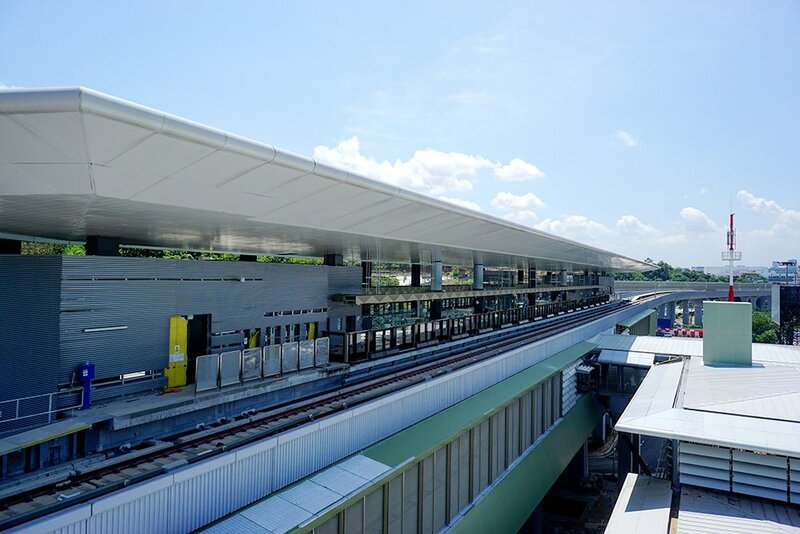 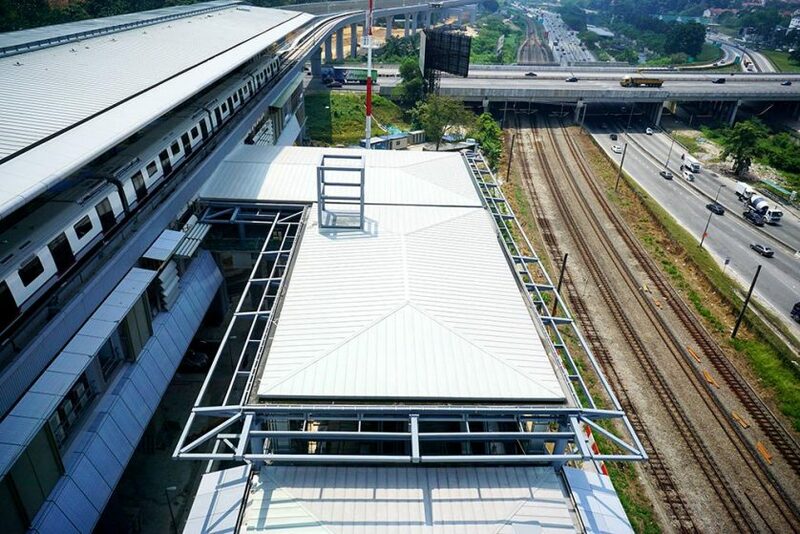 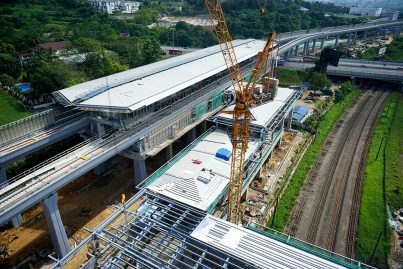 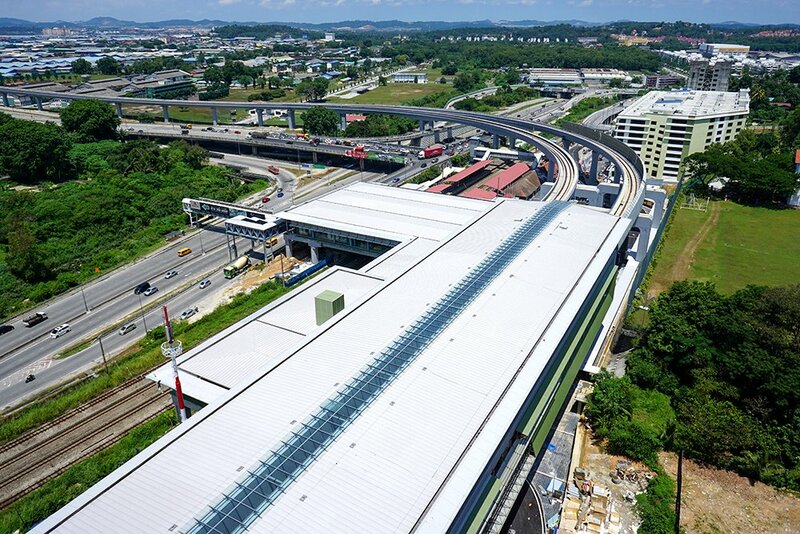 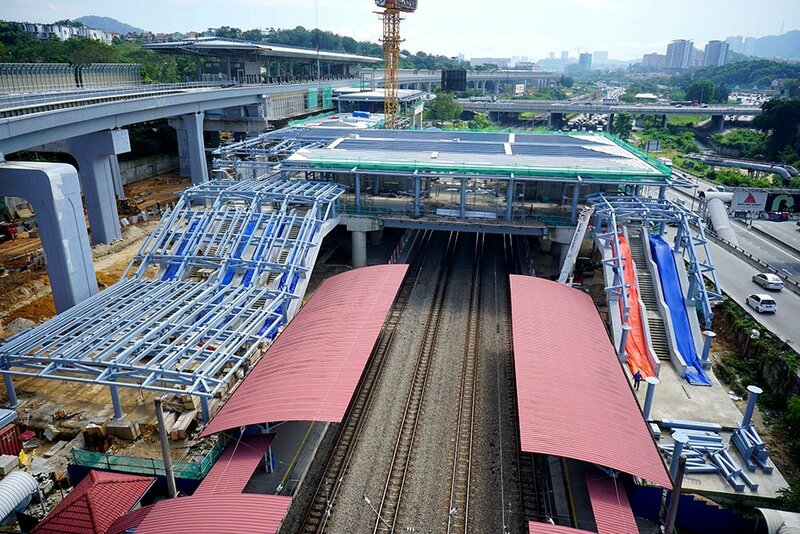 At the at-grade level of the station are the feeder bus station, lay-byes for taxis and private-vehicles as well as parking for the disabled were built as part of the construction of the MRT station. 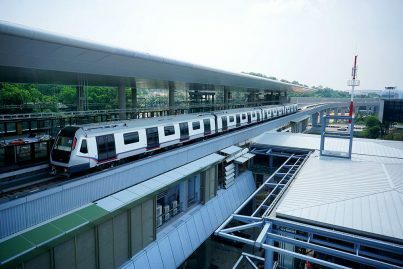 Common concourse (L1) Faregates to MRT paid area, Escalator and lifts up to MRT Concourse Level, Faregates to KTM paid area, Escalators and lifts down to KTM platforms, Ticketing Machines for MRT and KTM, Customer Service Office for MRT and KTM, Station Control for MRT and KTM, Shops, Entrance A escalator and lifts down to Ground Level street side area, Entrance B with pedestrian bridge over Jalan Kuala Selangor and staircase down to road level (Jalan Kuala Selangor Kuala Lumpur-bound). 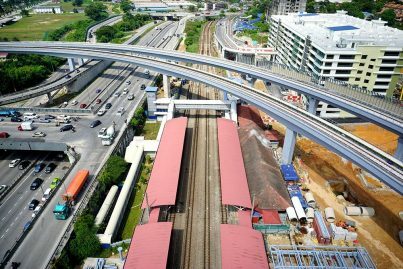 With the opening of the MRT Sungai Buloh-Kajang Line, feeder buses also began operating linking the station with several housing areas and villages in and near Sungai Buloh. 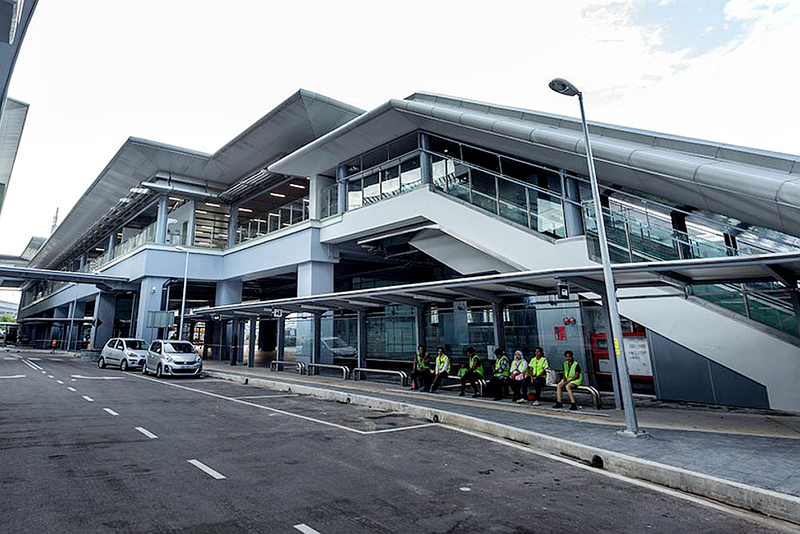 The feeder buses operate from the station’s feeder bus hub accessed via Entrance A of the station. 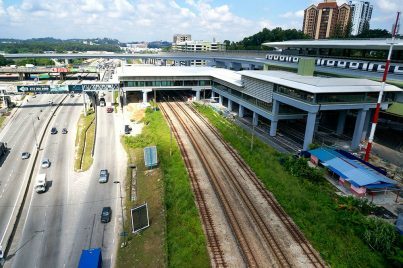 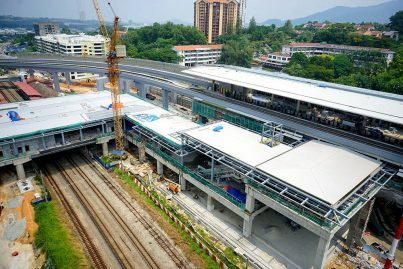 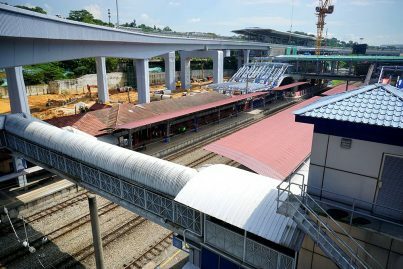 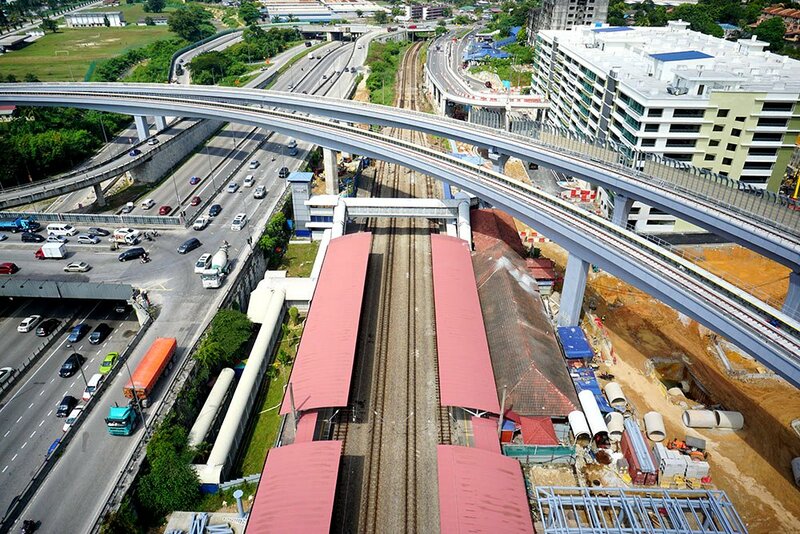 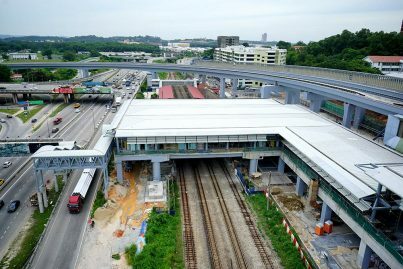 The Sungai Buloh KTM Station was already in existence at the location and the new MRT station was constructed next to it, occupying what was previously the at-grade open air car park. The MRT section and common concourse of the station, which is partially over KTM tracks, was built while the KTM station remained in operations throughout the construction period. 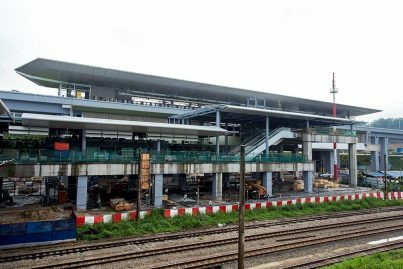 With the completion and opening of the new integrated station, the KTM station structure was dismantled. 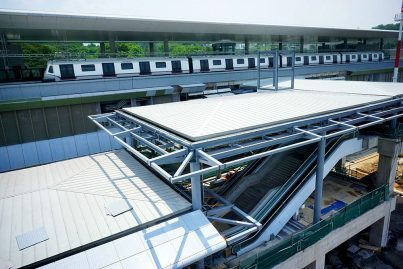 The KTM ticketing office and other offices were relocated from the original station to the common concourse. The original platforms were retained and redesigned to enable access to the common platforms, instead of to the previous at-grade exit on the northern platform. The KTM tracks were not modified for the renovation.